Chris Sleat grew up exploring, making stuff, and doing cool projects. His mom, a central Pennsylvania educator for 35 years, appreciated the benefits of hands on learning. When Chris moved his family to Maryland, he observed a lot of lectures and direct instruction. He saw his own kids growing without the benefit of powerful learning experiences he had growing up. Chris got the itch to do something about it. In 2013 he launched Workbench Platform with the goal of making it easier to teach with projects and to extend equitable access to great project-based learning (PBL) tools. Workbench is a PBL platform and is licensed software-as-a-service to districts with per school pricing. Compared to DIY PBL, where teachers typically need to design the entire project, Workbench offers easy to use authoring tools and a big library of projects to adopt, adapt and integrate into a bigger project-based learning experience. The Platform is already used in over 10,000 schools around the world making the creative and collaboration power strong. 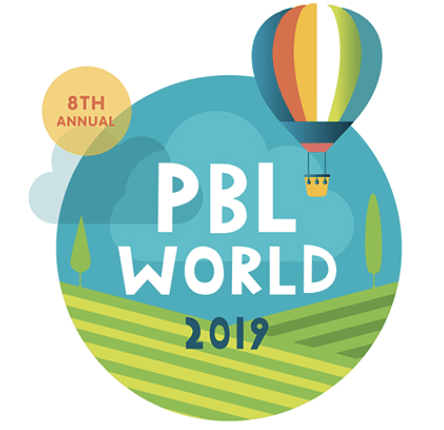 The ability to adopt or adapt the materials and projects allows for teachers to use a range of different PBL design no matter what the approach, whether they are using a framework from the Buck Institute for Education, New Tech Network, EL Education, Big Picture Learning or PBL Consulting. Think OER for projects. Hurri-Crane project: while learning how to make hurricane safe construction cranes, students learn physics, engineering and environmental science. Bees and the Waggle Dance: student Fly a Parrot minidrone to simulate the waggle dance that bees use to communicate the location of nectar. Great Big Green Cleaners: students calculate the carbon sequestration of trees. Workbench has partnerships with companies like robotics maker Sphero, drone company Parrot, Makey Makey and tool company Dremel. Workbench integrates with leading student information systems and learning platforms. Chris knows an opportunity when he sees it. Workbench is the Baltimore entrepreneur’s third startup. The company has raised about $3 million in seed funding from local investors Brown Advisory and Sagamore Ventures. Other EdTech investors include Sterling Partners., New Markets Venture Partners, Camden Partners, Calvert Street, TEDCO, Cammack Associates, and Wasabi Ventures. Baltimore is home to Connections Education, Sylvan, Calvert, Engrade, Laureate, Prometrics, StraighterLine, Words and Numbers, Learn It Systems and National American University. Lessoncast Learning: company focused on next generation teacher preparation & professional learning. Betamore is a cool coworking space that has given birth to a few EdTech startups. Towson Incubator hosts over 20 EdTech companies and the list is growing.